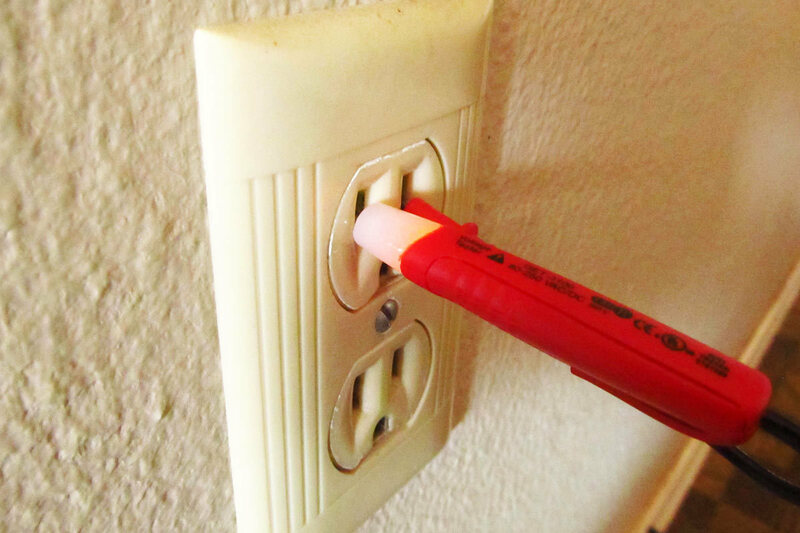 If you’re going to attempt any home DIY projects that involve electricity, then you need to know how to use a voltage tester. 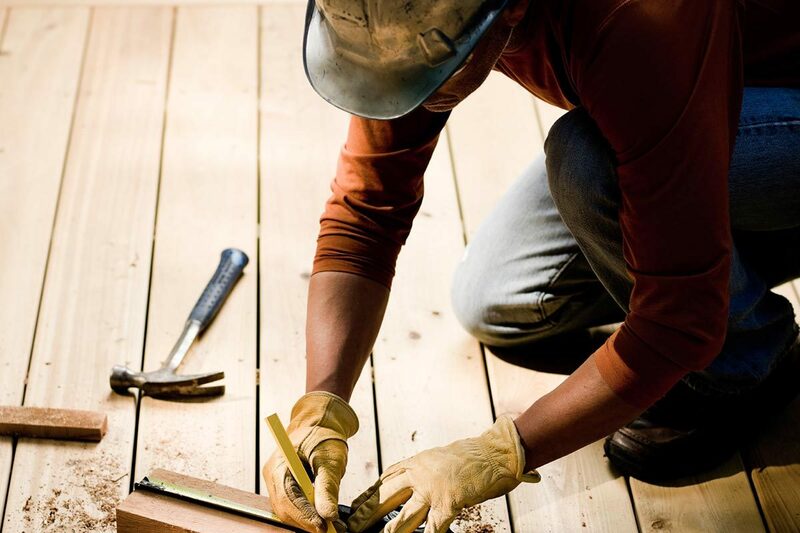 When it comes to home renovation and home repair, there are a lot of tools we tend to call lifesavers. Things like paintbrush combs and zip walls come to mind. But a voltage tester is literally a lifesaver. 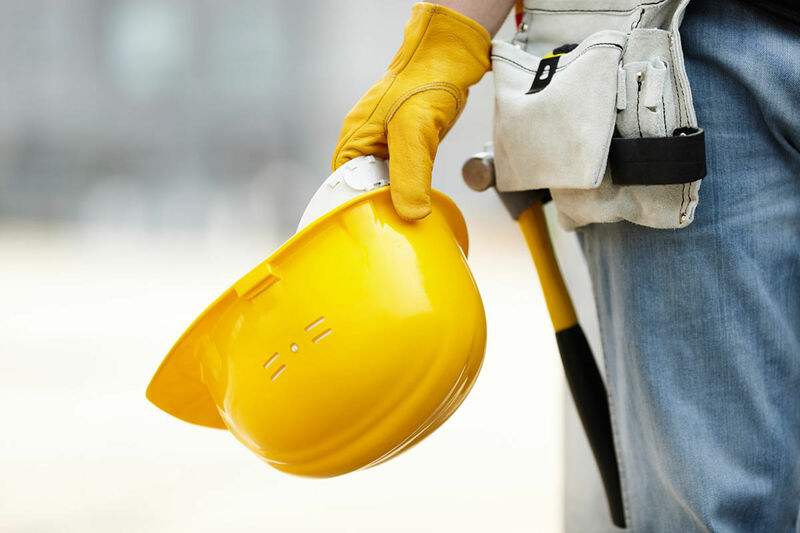 In addition to saving time and making your project easier, they actually help protect you from accidental electrical shock (which can lead to injury or even death). This isn’t to scare you off. There are a lot of small electrical projects that can be done by almost anyone. Replacing an electrical outlet and replacing a light switch are two simple ones I have discussed in the past. Learn how to use a voltage tester for these two projects (and many others) and you’ll keep yourself out of harm’s way. Visit your local home improvement store or look online and you’ll see that there are dozens of different voltage testers to choose from. Fortunately, for small-scale electrical projects, they’ll all work about the same. For DIY projects like replacing an electrical outlet or replacing a light switch, you don’t even need a voltage tester that measures and displays current voltage. You only need a simple one that lets you know if the wire/outlet you are testing is live. These simple voltage testers can be readily found for $5 to $15. I used the Gardner Bender GET-1300 for $6 on Amazon in this walkthrough. After selecting a voltage tester, you should first test an outlet that you know is live. Generally, this is an outlet powering a device such as an appliance, television, computer, or lamp. Simply plug the device in or turn it on to make sure the outlet is powering the device. This tells you that the outlet is working. The next step is to test the outlet with your voltage tester. Follow the instructions for the specific voltage tester you have. 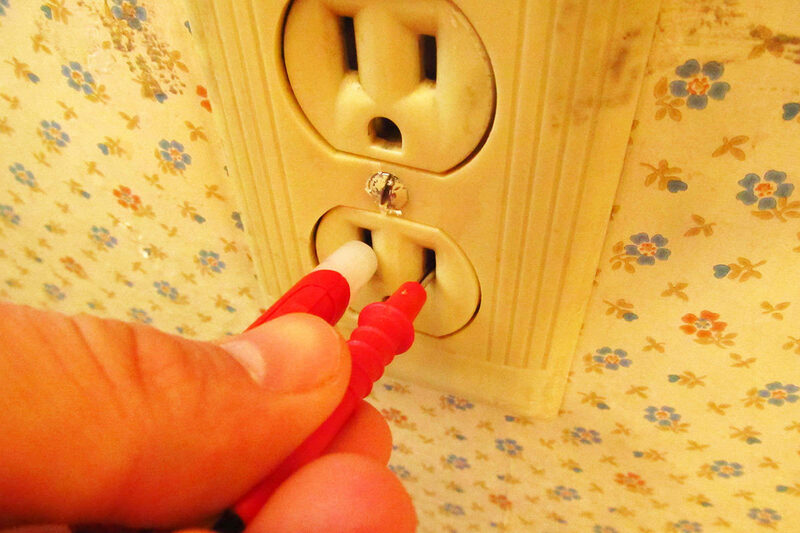 Most often you will just stick both prongs/needles into the outlet. Your voltage tester should light up or beep. Doing this lets you know that your voltage tester is in good working order before you test it on the actual outlet you’ll be working on. The last step is to test the electrical outlet you will be working on. Place the end of your tester into the outlet. If it lights up/beeps, the outlet is still live. You need to go to your circuit breaker and turn off the switch that controls the particular outlet. 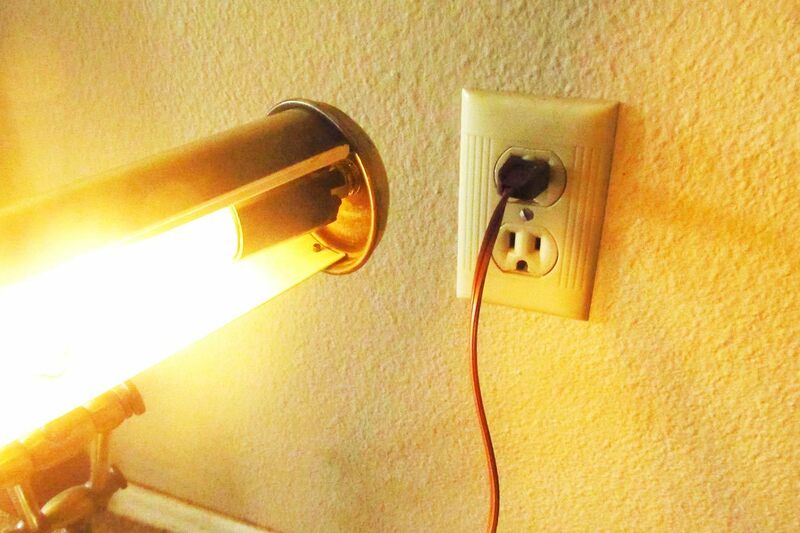 Test the outlet again to make sure the power is off. Don’t start work on the outlet until the voltage tester does not light up/beep. Make sure to test both receptacles on each electrical outlet. Because it is better safe than sorry, I test the electrical outlet I am working on several times during a project. After removing the outlet and exposing the wires, I test these. You can test an outlet’s wires in much the same way as the outlet itself. 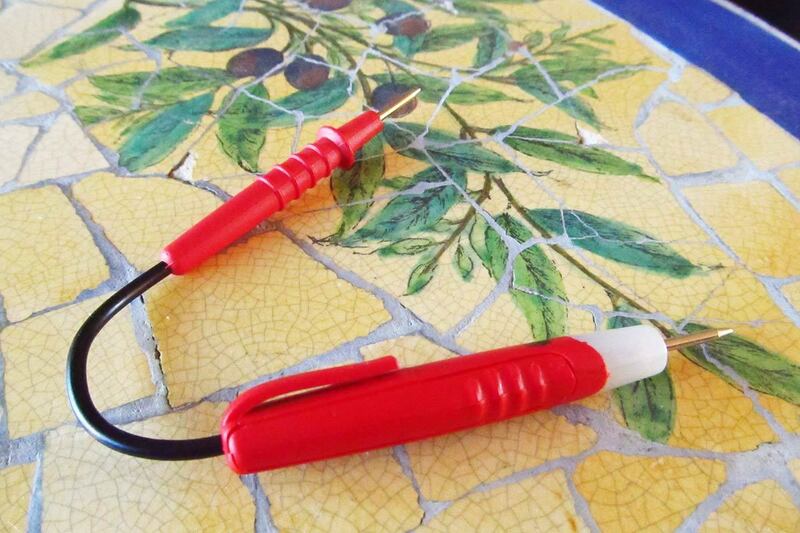 Simply, touch the ends of your voltage tester to the wire to ensure there isn’t a current. If the outlet isn't giving a good reading or there is some other problem you may want to consider having an electrical inspection done or hire a professional electrician to fix it. A voltage tester is a tool that everyone should have in their toolbox. 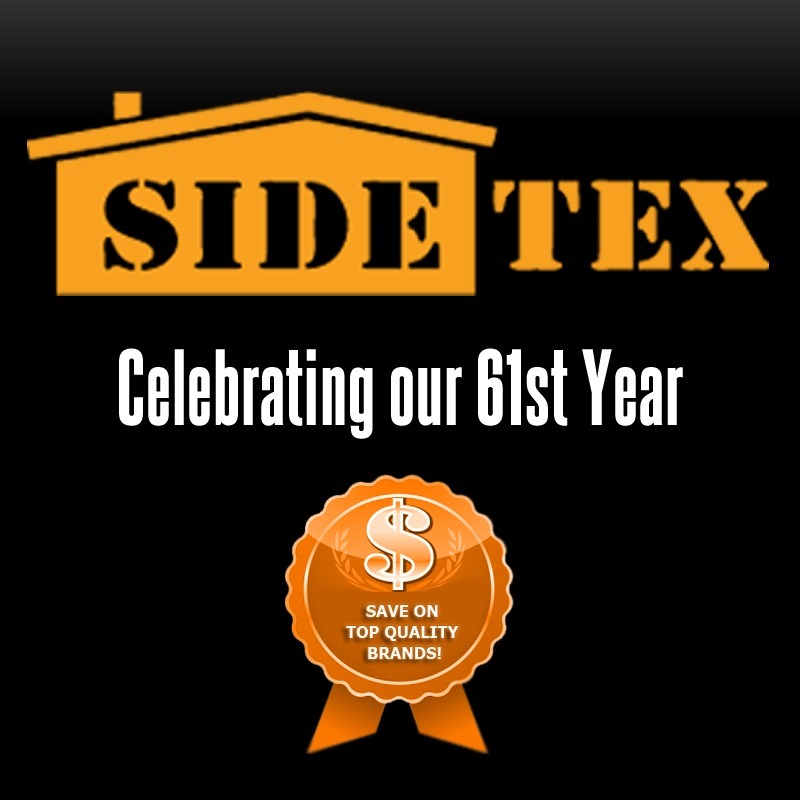 They are easy to use, make electrical projects far easier, and, most importantly, they keep you safe.